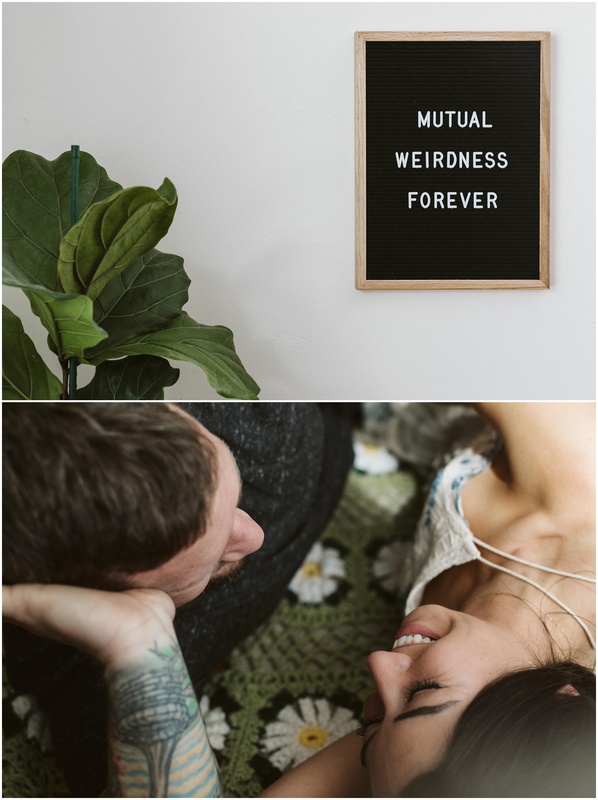 Today seems like a good day to share this Los Angeles cozy in home engagement no? Yeah I thought so too. Mitch and Cristina invited me to their cozy little bungalow a few weekends ago and to say it was the perfect way to spend a Sunday morning might be an understatement. 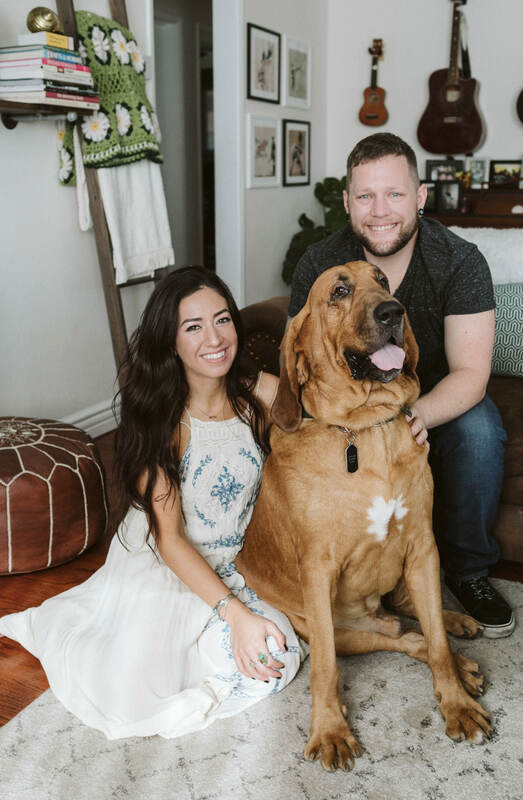 From their curated collection of antique knick-knacks and plants to their very lovable pup Wayland (literally missing him as I type this), I don’t know how the setting could have been more ideal for their engagement photographs. Honestly, I just want to have style as cool as Cristina one day – her ring collection (including the newest addition) are goals. 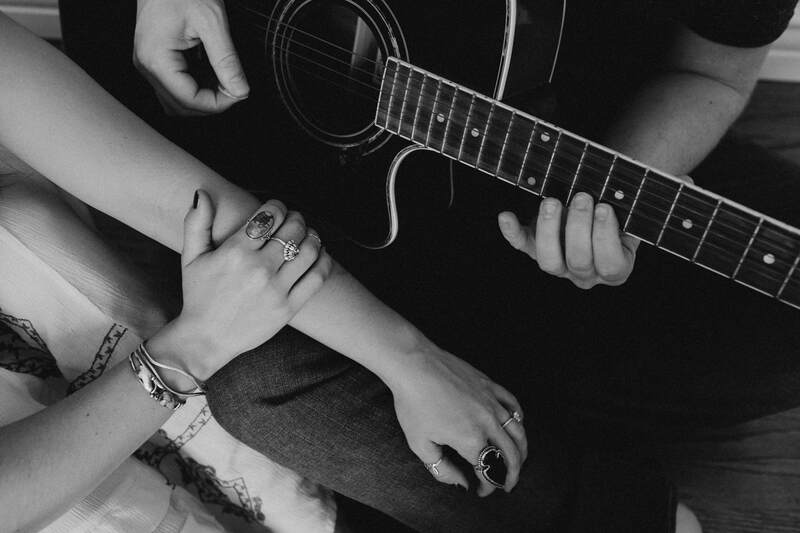 Cristina is the co-owner and director of Marina Music Together and Mitch plays in a few bands so without a doubt we had to incorporate a few of their instruments into our session; it made the whole thing feel truly them. Cristina’s mom made that crocheted daisy blanket herself – how rad is that? Essentially everything was just pretty dang ideal. 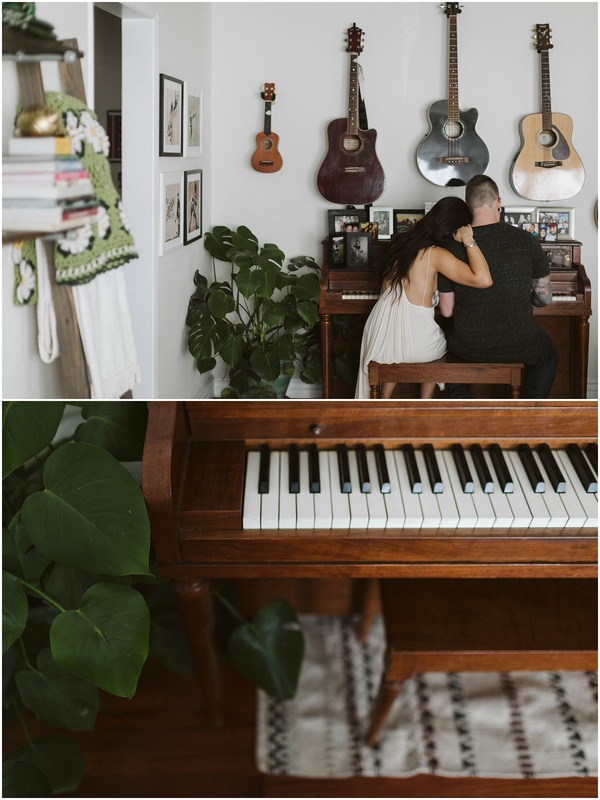 As vinyl spun in the background these lovers got cuddled up in front of my camera – check out their sweet Los Angeles cozy in home engagement below and let me know which ones are your favorite. Obviously it is the ones featuring Wayland and I would be lying if I said those were not some of my favorites too, those ears! Haha! No shame in the puppy loving game – you can quote me on that. Think in home sessions are kind of cool? Why not check out one more!